Search engine optimization is definitely an important way to generate traffic to your website, but it can seem like a mystery. In today’s episode we talk SEO and copywriting with Pam Foster. 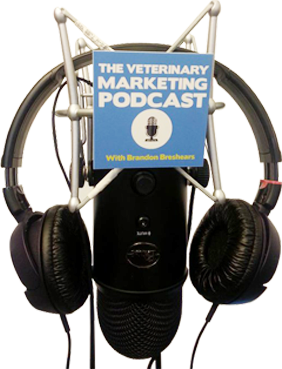 The biggest bang for your buck with your veterinary practice will be local seo, where you try and target people in your local area who are using search terms that are relevant to your practice, and so I discuss how to help your veterinary practice rank for those local searches that will bring new clients in. Pam Foster is Managing Editor, Community Content & Media for the NAVC and is the Marketing Faculty Advisor on the CE website VetFolio.com . Pam is a Certified SEO Copywriter and the co-author of Wildly Profitable Marketing for the PetIndustry. She’s also a regular columnist for Veterinary Advantage magazine. She specializes in helping veterinary practices and other industry organizations thrive through strategic marketing content, online and offline — and can be reached at PetCopywriter.com. This Week’s Episode is Sponsored By SnoutSchool.com! Want to get noticed on social media? Discover how you can attract and engage clients through social media with Danielle’s amazing free courses that are available for you now!